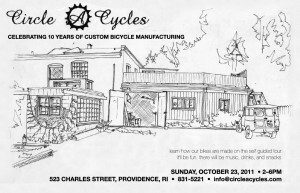 Projects » Blog Archive » 10TH ANNIVERSARY OPEN HOUSE SUNDAY! 10TH ANNIVERSARY OPEN HOUSE SUNDAY! 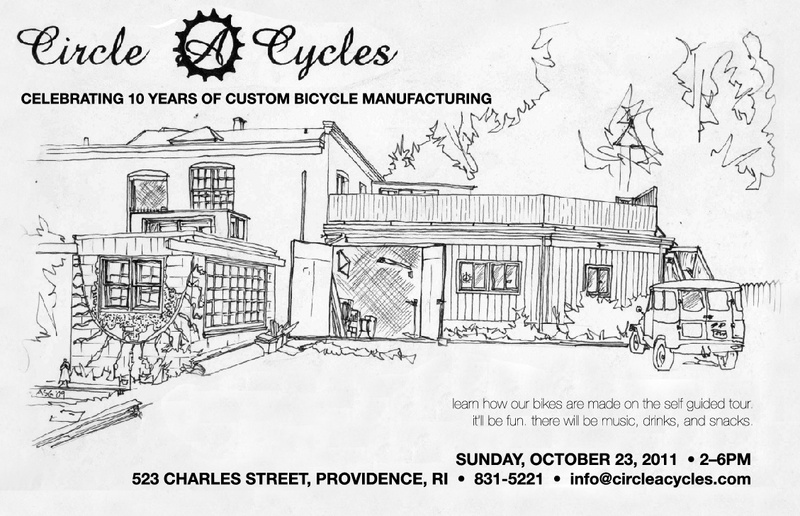 As in, this Sunday October 23, from 2-6 pm. Hard to believe, but it’s been ten years (and a month) since Circle A first opened it’s doors in Carpenter Mills. One move and nearly 250 bikes later, we’re still hobbling along. This entry was posted on Tuesday, October 18th, 2011 at 9:24 am	and is filed under Circle A Project. You can follow any responses to this entry through the RSS 2.0 feed. You can leave a response, or trackback from your own site.